It has been said that everything in the world has been photographed, at least once. My goal in photography is to provide you with a different and exciting view of these familiar places and generate emotions, creating a positive experience that makes you want more. Be it a mountain meadow or a famous landmark, I want to show you that there still is so much amazing beauty in the world and give you the desire to go out and discover this for yourself. If these images spur you to take time off, travel and see the world, I feel assured that it will only make the world a better place. For over three decades, Laurent has continued to master the art of photography. 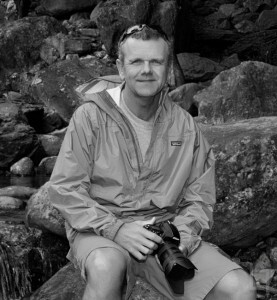 While skilled in corporate, commercial and portrait photography, his passion is for landscape and travel photography. His discerning eye is constantly seeking out hidden treasures that he is sharing in his photographs with you. He currently lives in St Martin De L'Arcon, located in the region of Languedoc Roussillon in Southern France and travels around Europe in a VW Westfalia campervan.